She found that wearing supportive shoes with inserts and getting a belly band helped to keep her pelvis and back stable, reducing the pain. Combined with continuing to see her chiropractor, she started to feel better. Like many pregnant women, medications aren’t the first thing Melissa wanted to turn to for her leg and back pain. Fortunately, many options exist to treat sciatica and sciatic-like pain and we talked to several experts about it, who explained to Momtastic what sciatica is, and what you can do to help with it without resorting to pain medications. According to the American Pregnancy Association, the sciatic nerve, the biggest nerve in your body, runs under your uterus and down your legs. Pain can develop along there for a variety of reasons, one of them being pressure put on it from your baby. How Can It Be Treated Without Medications? 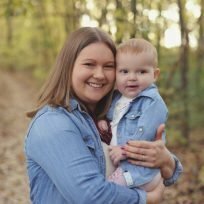 Dr. Allison Harvey, a chiropractor and Senior Clinician at Logan University in Missouri cautions that when searching for a chiropractor, it’s important to find one who has experience in treating women who are pregnant. Sometimes what is referred to as sciatica really can be the result of a tear in the hip labrum, which is the cushioning between where your leg bone meets your hip socket and helps with movement, according to Richard Sedillo, Physical Therapist and Certified Orthopedic Manual Therapist from Scottsdale, AZ. Sometimes these tears can create a sciatic-like tingling sensation, and it’s important to identify what exactly the problem is. Physical therapists are also available to perform medical massages, and the benefits will be far better than at your local massage center, says Sedillo. Not everyone is aware this option even exists. Calf stretches are also beneficial because along with stretching the muscle, you’re also stretching out the sciatic nerve all the way down to your foot, according to Richard Sedillo. “Putting your chin to your chest and slouching your shoulders, repeating twenty times and then trying the calf stretch again should improve any tightness and pain,” Sedillo explains. Ice is always beneficial with any kind of nerve pain, Sedillo explains, and using it over the entire hip area into the groin and around the buttocks should help, whether it’s during pregnancy or after. When sitting, put your knees together before you stand up, because that will help keep proper alignment and reduce pain by stabilizing the hip, explains Sedillo. Another area to support is your rib cage, as it’s another area to easily fall out of alignment, causing pain in your leg. Simply tying a belt or another type of binder right up under your bra line can help hold everything in place. It also does wonders for your posture. Sleep on the side that doesn’t hurt, advises Dr. John Thoppil, an OBGYN in Texas, as that can help lessen compression on the sciatic nerve. He adds, “One of the best ways to prevent pain is to gain the appropriate amount of weight [in pregnancy]. Excess weight can further compression of the nerve.” Dr. Thoppil also recommends swimming and yoga as ways to try and prevent pain from occurring.